This is the final part in a three-part weekly series which provides an overview of the due diligence process: the different types of due diligence, why it is important, the reasons it is often done badly, and how to do it well. 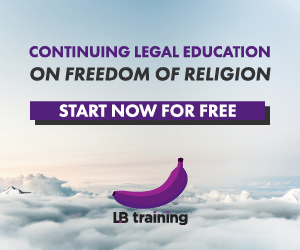 LoyarBurokker Marcus regularly contributes to The Edge Malaysia, where this series was previously published as “Counsel” in its “Forum” section. 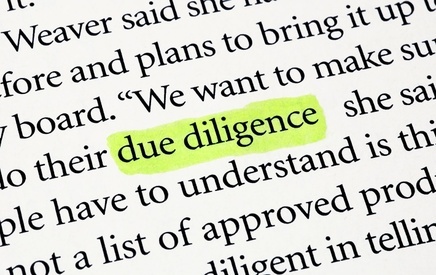 The first two articles in this three-part series on due diligence discussed the types of due diligence, why they are important, and what causes them to be done badly. We also provided a guide to legal due diligence, touching on the key areas involved. This final article will discuss commercial due diligence – long in the shadow of its legal and financial siblings – which has gained prominence and acceptance over the past decade. Most businessmen would probably be able to provide some sort of definition of legal or financial due diligence. Ask them about commercial due diligence however, and you may well draw blank looks. Explain to them that it is about looking at a transaction from a commercial point of view, to ensure that the decision to proceed makes sound business sense, and they will probably tell you that they have always done that anyway. But commercial due diligence is about more than just exercising sound business judgment – coupled with a bit of gut feeling. It is legal and final due diligence and much, much more. When acquiring a company, the core of commercial due diligence is knowing the target company’s customer-base and understanding the subject market. It is surprising how little acquirers know about the business models of their target companies. Many stop at ensuring that finances and profits of the target company add up, and that the deal is legally workable. Commercial due diligence is about post-transaction success more than about being able to cross the hurdle of acquiring a business. It has been said that commercial due diligence is simply financial due diligence with some bells and whistles thrown in. Whilst this is true to an extent – commercial and financial due diligence do overlap in terms of the base information involved – the former goes further than the latter, and by some distance. Financial due diligence focuses on the target company’s financial records, and – despite coming up with basic financial projections – leans more towards auditing track records. Commercial due diligence looks much more towards the future, post-transaction, profitability of the business. Also, as will be seen below, a thorough commercial due diligence includes analysing the market, customers and competitors as much as the target company itself. As such, unlike financial due diligence – which bases its findings on information provided by the target company – commercial due diligence gathers information from industry experts, competitors, customers and other third-party sources. Hence, commercial due diligence gives a more accurate, independent, future-centric, and ultimately more reliable view of the financial prospects of the business. Be certain of the commercial viability of the target company. Plan the transition of ownership smoothly to have minimal effect on the company’s performance. Provide insights into the target company’s business model that would not be available to the general public. Specify key areas of risk, enabling risk-minimising steps to be taken. Identify potential growth opportunities post-acquisition. Evalute the adequacy of the current employees, particular in key positions, in light of the challenges of the particular market. Plan the company’s future direction to optimise profits. Having identified the ultimate goals of a commercial due diligence, how are these aims achieved? As previously mentioned, it is more subjective than legal or financial due diligence, and involves customers, sales, markets, competitiveness, projections and assessing management capabilities. It is therefore too complex to explain within the confines of this column. Conduct research on the public information available about the target company’s market – its size, major players, growth potential, and risk of obsolescence. This includes reading industry reports and journals, and also consulting experts in the field. Have dialogues with senior management of the target company on the prospects of the market. Including them in the future direction of the company will encourage them to be more forthright in volunteering information that may increase productivity and profit. Evaluate the abilities of the senior employees of the target company to decide whether they are good enough to carry the business forward. Assess their potential objectively, as it may be more sensible in the long-term to pay potentially expensive severance packages for unsuitable employees immediately, rather than hanging onto them and hampering growth. Create plans for the future of the market. Ascertain existing or upcoming market-segments that the company may be able to grow into and compete in. Formulate profit estimates and pricing plans. Identify the main competitors of the target company, including an evaluation of how fierce the competition is. Get to know the competitors – their strengths, weaknesses, major customers, history. This can be done by speaking to industry experts and reading-up on the competitors. Conduct a comparison between the target company and its competitors. Focus on direct comparisons that can spotlight potential areas of improvement. Obtain a list of the company’s major clients and analyse their needs as a business. Determine the customer-satisfaction ratings of these clients, and check whether the company is meeting their valued requirements. Evaluate the possibility of existing customers switching to competitors post-acquisition. Would switching be difficult, expensive or commercially-unviable? As would no doubt be obvious at this stage, commercial due diligence is not straightforward. Unlike legal and financial due diligence, there is no obvious “commercial advisor” that can be appointed to conduct the due diligence. A commercial due diligence exercise needs to be planned from an early stage of the decision-making process – there is no point doing it when the decision to acquire has already been set in stone. It would ideally involve a team of external advisors – legal, financial and industry experts – working together with the acquirer’s management representatives. Good project management is essential when dealing with a major due diligence exercise. The importance of clear communication channels between the acquirer and all the advisors cannot be over-emphasised. The quality of advisors is essential – coming up with a strong, certain conclusion from the vast ocean of documents and information collected during a due diligence exercise requires an analytical, intellectual and clear mind. Due diligence plays an invaluable role in ensuring the post-completion success of any transaction. It empowers acquirers to strategically and purposefully plan for the future. A well-implemented triumvirate of legal, financial and commercial due diligence provides not just an understanding of the legalities and financial bottom lines of the transaction – but also of the business, market, competitors, customers, and future growth. LB: Marcus van Geyzel is a corporate/commercial solicitor in Kuala Lumpur, who tweets as @vangeyzel and blogs at marcusvangeyzel. Recently, he drank a tainted pint (or five) of Guinness, and since then is occasionally mind-controlled to contribute to LoyarBurok. His interests are varied, but has a penchant for debates about culture, politics, football, and the idiosyncrasies of human interaction. He believes that the only certainty in life is that everything can be explained by the transperambulation of pseudo-cosmic antimatter. Posted on 14 October 2010. You can follow any responses to this entry through the RSS 2.0. Hey Marcus, write one about political due diligence and nepotistic oligarchies and patronage cliques in Malaysia sometime.